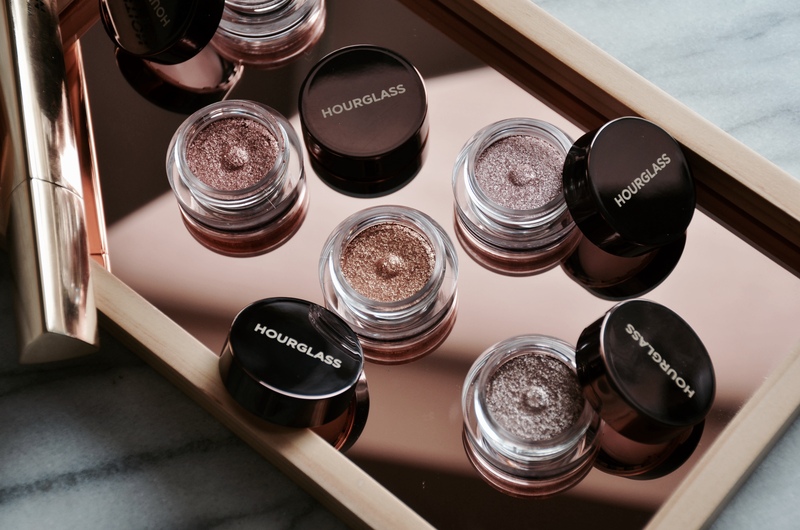 Hourglass has two new releases and they are both for the eyes. They released a new mascara called the Caution Extreme Lash Mascara and the Scattered Light Glitter Eyeshadows which are what shimmer dreams are made of. There is hardly a miss for me when it comes to Hourglass and these are no exception. Both the mascara and glitter eyeshadows are up par with Hourglass quality products. Mascaras are tough for me. I am very picky when it comes to them. I have long but straight lashes so I’m looking for tons of volume but also mascara that will hold a curl. Of course the mascara has to be long lasting and budge proof. Well the Hourglass Caution Extreme Lash Mascara gives all that plus more. 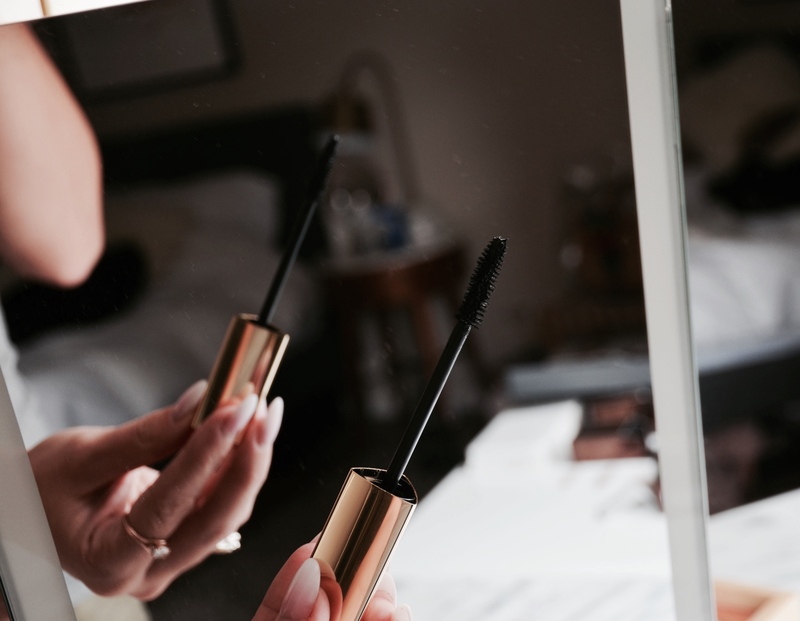 The Hourglass Caution Extreme Lash Mascara gives a ton of volume while providing separation (no clumpy lashes here), holds a curl all day, and most importantly, doesn’t smudge or flake. The formula is on the dry side which actually makes the mascara super long lasting. 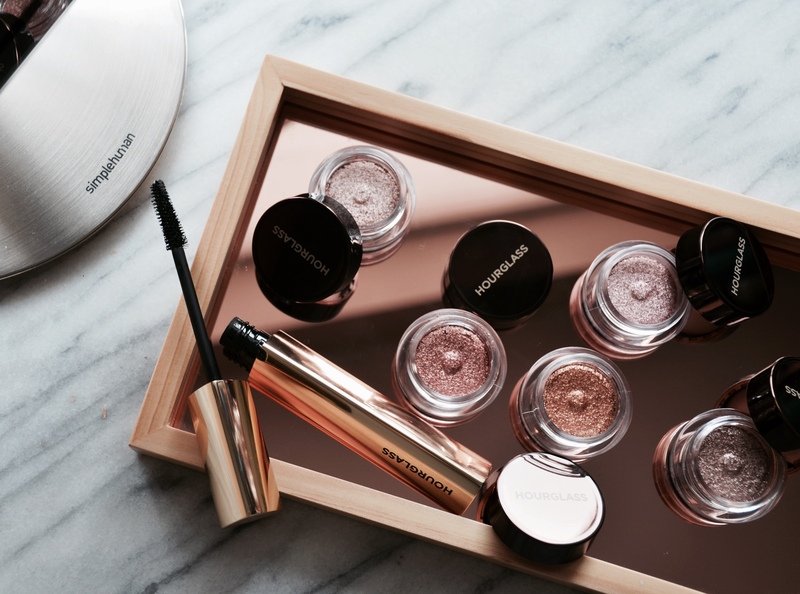 The Hourglass Caution Extreme Lash Mascara has been on repeat since I got it. Whenever I need a long lasting mascara that will give me dramatic lashes, I reach for this. As a comparison this mascara gives me similar results as the Lancome Monsieur Big (this one gives even more drama but it does smudge a little bit at the end of the day) and the Marc Jacobs Velvet Noir. 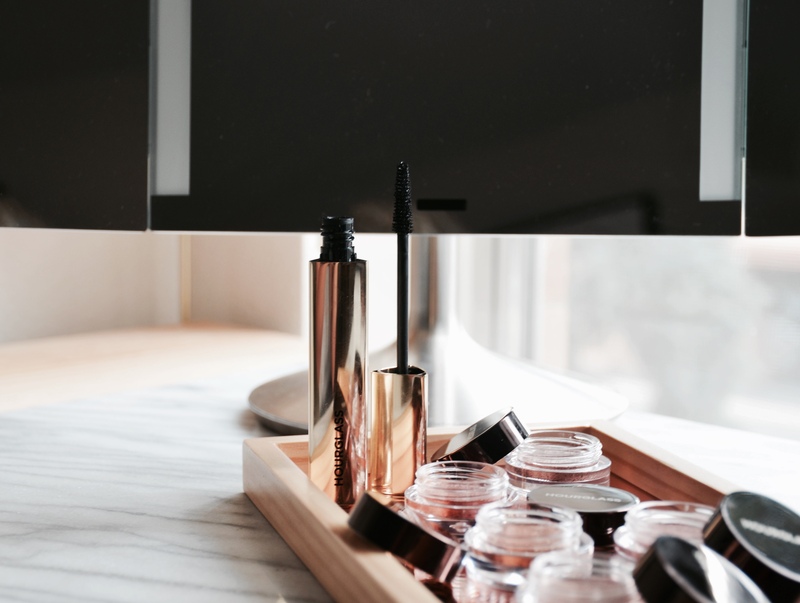 The two have a wetter formula so if those smudge on you, the Hourglass Caution Extreme Lash Mascara will not but it will give you similar results. 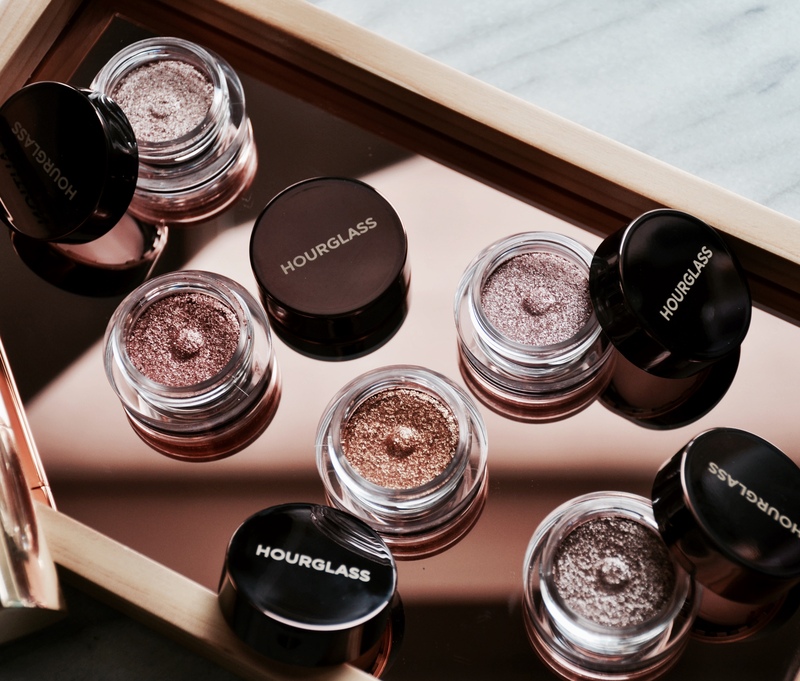 The Hourglass Scattered Light Glitter Eyeshadow is described as a weightless micro glitter eyeshadow that is infused with light reflecting pearls that gives you high impact sparkly eyes. I actually picked up four of the shades as soon as they launched. My first choice was Smoke since I love a good shimmery taupe. I’ve been testing the shadows ever since and last week I got a package from the brand. 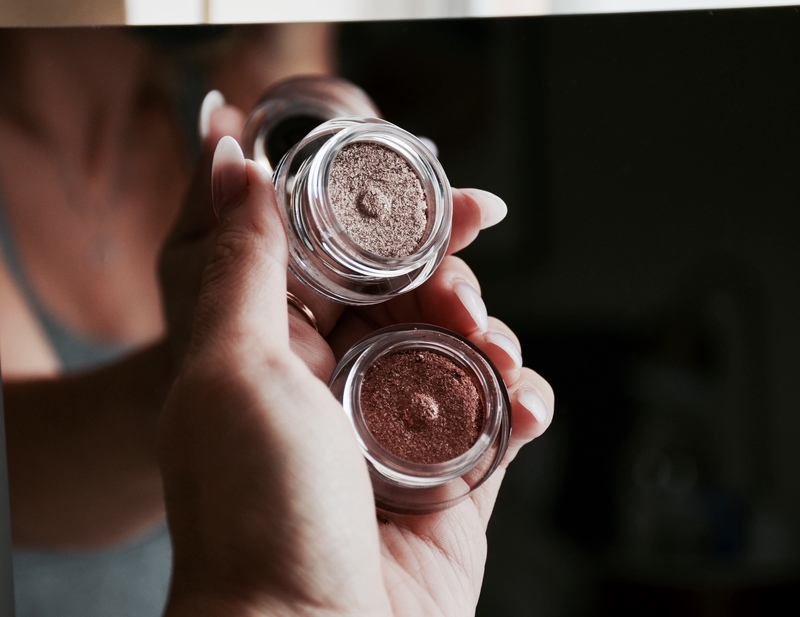 The texture of the Scattered Light Glitter Eyeshadows is creamy (it feels very soft to the touch) but they are not cream eyeshadows. They are more of tightly pressed micro glitters that have a high metallic shine. They come with a shifter insert that is good for keeping the shadows in place. I find these best applied with my fingers. If you want to use a brush, a flat synthetic brush is the way to go. But fingers are the quickest way to apply full on pigment and prevent any fallout. The Scattered Light Glitter Eyeshadows are good as toppers but also on their own. They pack good pigment so I use them as one eyeshadow looks. I use my bronzer in the crease and just apply and dab one of the shades on the eyes. I’ve also used two shades to make a custom shade and they are buildable and layer well. The finish that you get with the Scattered Light Glitter Eyeshadows is metallic but there is no chunky glitter. If you remember the Armani Eyes To Kill, these are very similar to them. They have the same texture and finish. As for favorite shades, I really like all of them. Foil, which is the gold has the most impact from the bunch. Honestly swatches don’t do these justice as you have to see them in person. I couldn’t really catch how reflective they are in a picture so I definitely recommend going to a store and swatching them in person. Bottom line, two big hits from Hourglass. If you are looking for a good long lasting volumizing mascara, the Caution Extreme Lash Mascara is a great option. 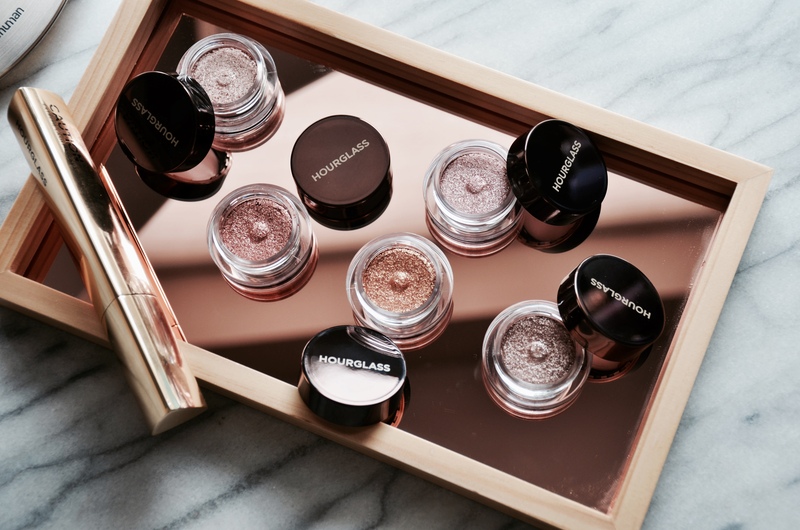 As for the Scattered Light Glitter Eyeshadows, they are just amazing. If you are like me and you get lazy with your eye makeup, they are good as one stop eye looks. The glitter is not too much so I definitely wear these during the day too. You can always amplify the metallic look by layering and packing them to full on pigment for night time and going out looks.